This past weekend was the inaugural kick-off of the Minneapolis Blogger Union. 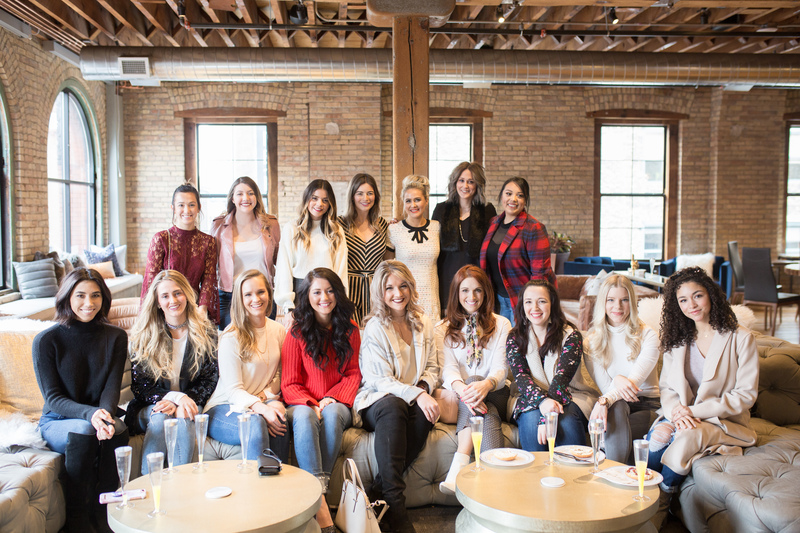 With an active blogger community, there was an opportunity to bring the Twin Cities’ talent together for a morning of mimosas and connection. The agenda? Introduce the Blogger Union, meet like-minded women, and brainstorm on how best to bring value as an organization for the upcoming year. Brick x Mortar was kind enough to donate their beautiful downtown Minneapolis space for the perfect ‘Grammable moments, breakfast was sponsored by local bagel shop Rise Bagel with Risata Prosecco and Risata Moscato d’Asti adding the fizz to our morning. The morning began with excited chatter as the room began filling with Minneapolis fashion and beauty bloggers, the scent of Chanel and anticipation intermingling. After a thorough imbibing via mimosas, the group came together to listen to opening remarks by Minneapolis Chapter Founders Claudia Camargo Torres (Sponsorship Officer), Samantha Schaff (Social Media Officer), and Alissa Schrank (Events Officer). After an introduction by the Officers with an outline for their hopes for the group in 2018, those in attendance were asked to introduce themselves. Given the floor, each blogger was given the opportunity to talk about their creative journey and what types of workshops, skill-sharing, and expectations for the group. Not a shy one in the bunch, the conversation flowed freely as the women shared stories and offered insight into their successes. After an hour-long discussion, professional head-shots were offered by talented photographer Carly MacGowan while photographer Angel Torres took more candid shots of the group. With new invigoration in their steps, the women slowly back to trickle out with calls of “Nice to meet you” and “See you next month” echoed down the hall. Post-event, the winner of this month’s giveaway (a $150 gift certificate generously donated by Pure Lux) was announced to one lucky attendee! Notes from the morning in hand, the Officers will soon begin creating their event and editorial calendar for the year compiled with ideas from the Kick-Off event. Again, a very sincere thank you to sponsors Brick x Mortar, Risata, Pure Lux, and Rise Bagel for making it possible to eat, drink, and connect!